The Walk, Worldmark 2, Aerocity, Delhi. Plum By Bent Chair is a casual dining place which leaves you mesmerized by its artistic and vibrant interiors! Plum By Bent Chair is located in The Walk, Worldmark 2 which is in Aerocity, Delhi. Nearest metro station is Delhi Aerocity Subway Station which is situated on the Airport Line of DMRC. The distance between the metro station and venue is about 2.3 km. Plum By Bent Chair is like a visual treat to the diners. The interiors actually make you stop and appreciate the striking beauty it holds. Splash of vibrant colors along with artistic furniture, dash of greenery and quirky decor sprinkle the place with an unique charm. Also, the venue is brightly lit and totally instagram worthy! Plum By Bent Chair serves and specializes in Asian cuisine. Food options are available for vegetarians as well as non-vegetarians. A full bar is also present which serves a variety of alcoholic drinks which one could enjoy! The staff is very courteous and the service is prompt. Plum By Bent Chair is best known for its vibrant and quirky interiors, which absolutely stuns the diners. 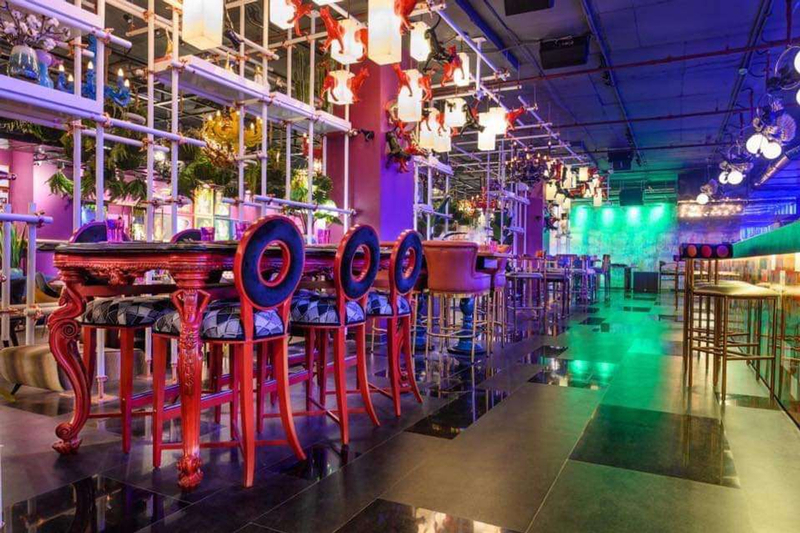 This place is suitable for hosting an Anniversary Party, Birthday Party, Bachelor Party, Cocktail Party, Corporate Party, First Birthday Party, Kids Party, small Get-togethers and other Social Gathering events.